Cheryl Bolen is a New York Times and USA Today best-selling author of Regency-set historical romances published by Harlequin Historical and Zebra Historical. Her first book, A Duke Deceived, won her the title of Notable New Author and was a runner up for the Holt Medallion for Best First Book. Her One Golden Ring won the Holt Medallion for Best Historical. Her books have been finalists for many writing awards, including the Daphne du Maurier, have been Barnes & Noble bestsellers, and have been translated into French, Portugese, Swedish, Norwegian, Italian, Polish, and Japanese. Admitting to a fascination over dead Englishwomen, she is a regular contributor to the Regency Plume,The Regency Reader and the Quizzing Glass. 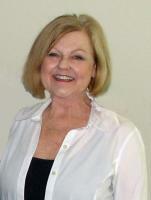 Many of her interesting articles on Regency England can be found at her website, http://www.CherylBolen.com. She holds an English/journalism degree from the University of Texas and an MS from the University of Houston. Before her first book was published in 1998, she enjoyed careers as a newspaper reporter/editor and as a public school English teacher.